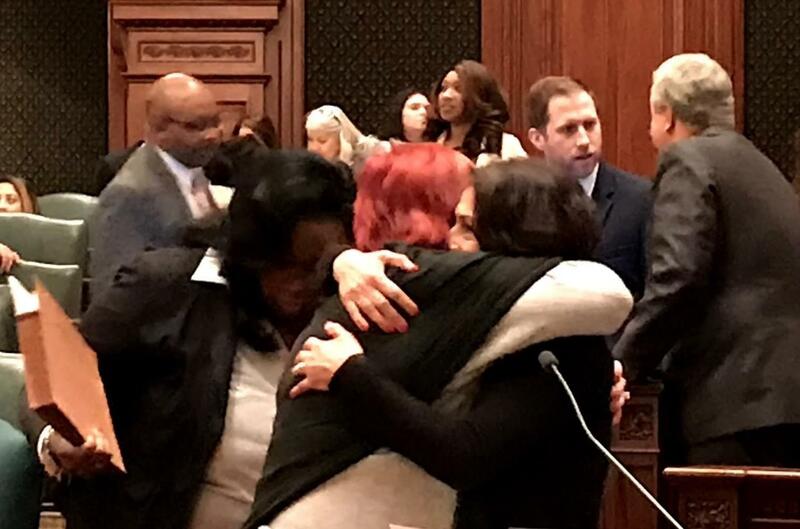 State Rep. Lisa Hernandez (D, left) receives a hug from Republican State Rep. Margo McDermed after the Illinois House votes to override Gov. Rauner's veto on the Voices Act on Nov. 28. The federal government already has in place special visas for undocumented immigrants who witness human trafficking and other crimes . It allows those who cooperate with law enforcement to remain in the US when they otherwise might not be able to. 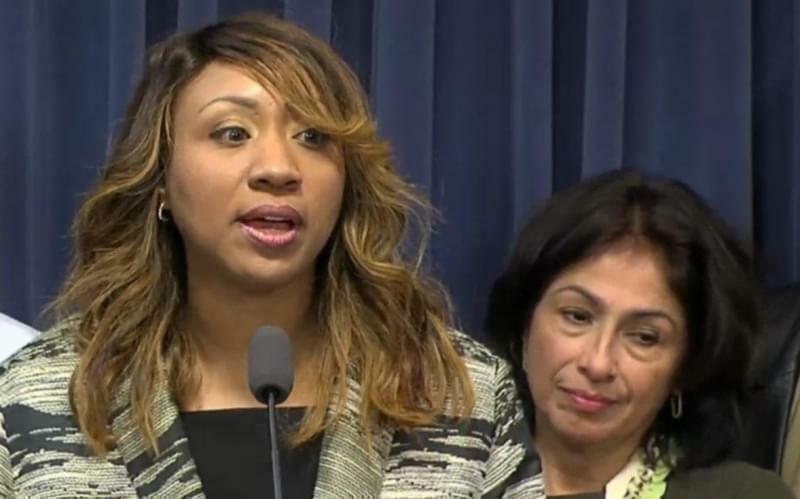 The measure requires Illinois law enforcement to submit the proper paperwork to the feds within 90 days. Whether or not an immigrant crime victim ultimately gets a visa will still be up to those authorities. 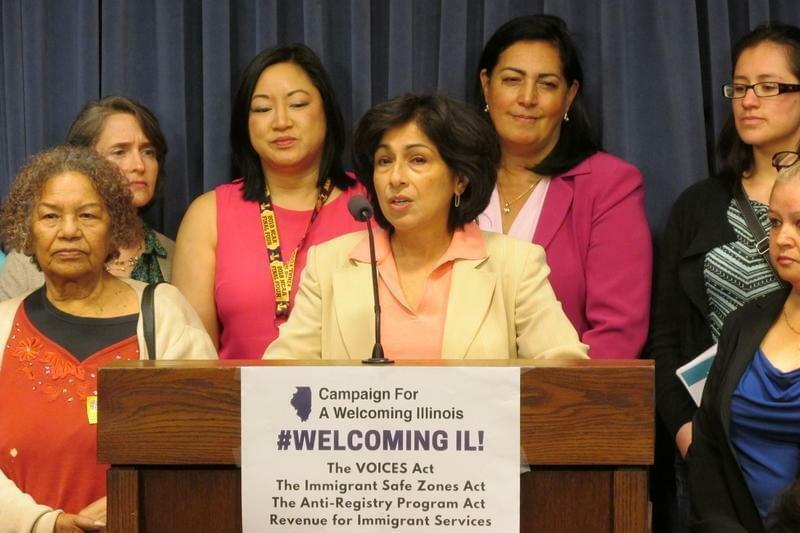 State Representative Lisa Hernandez, a Cicero Democrat and sponsor of the bill, was tearful as she celebrated the vote. "What a way to move forward on a pathway to citizenship: to be a victim of a crime." Hernandez says it's an issue that hits close to home. "It has been layers of difficulty to try to place the protections on people, everyday people, that deserve it," she said of the legislative effort. "On top of that, I do represent a community, a district, that has high numbers of undocumented families." Supporters see the measure as a way to target human trafficking rings. 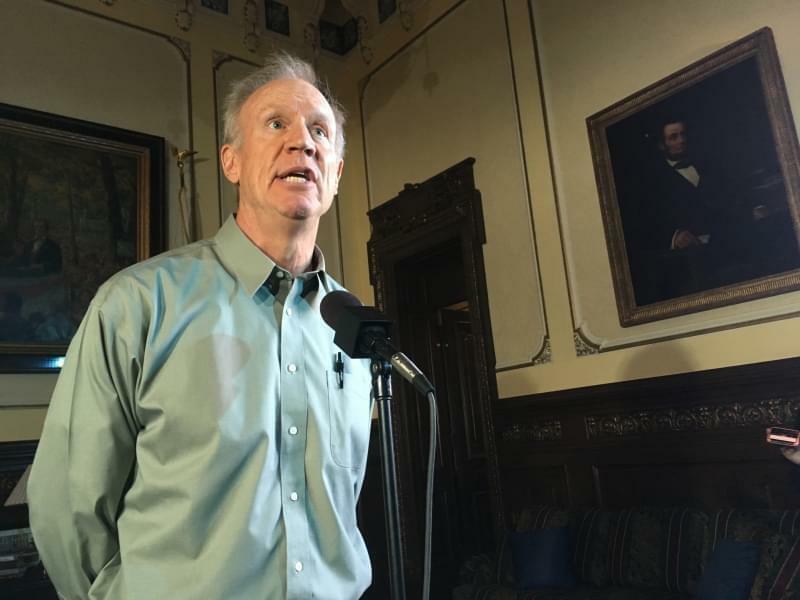 In his now unsuccessful veto, Governor Rauner had claimed the state could be swamped with new visa applications if the measure passed.